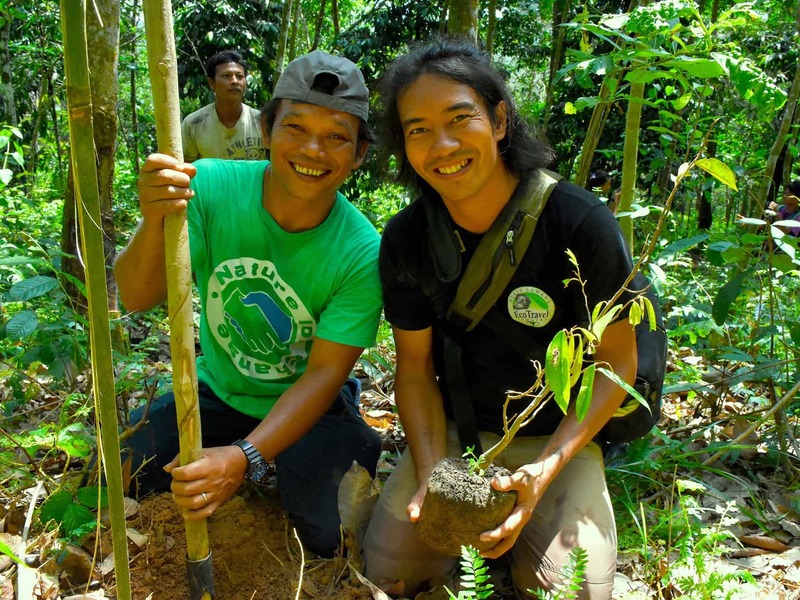 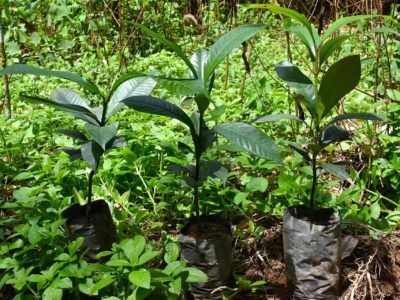 Trees for the future: Reducing human-wildlife conflicts! With Sumatra’s shrinking natural forests providing less food for its inhabitants, conflicts between farmers and wildlife are inevitable – especially in the “buffer zone” of rainforest, farmland and villages around the Gunung Leuser National Park. Near Bukit Lawang the area at the Ranto Panjang Landak River is rich in biodiversity and home to critically endangered species such as orangutans, Thomas’s Leaf monkeys, silver tail macaques, sun bears and wild boar. 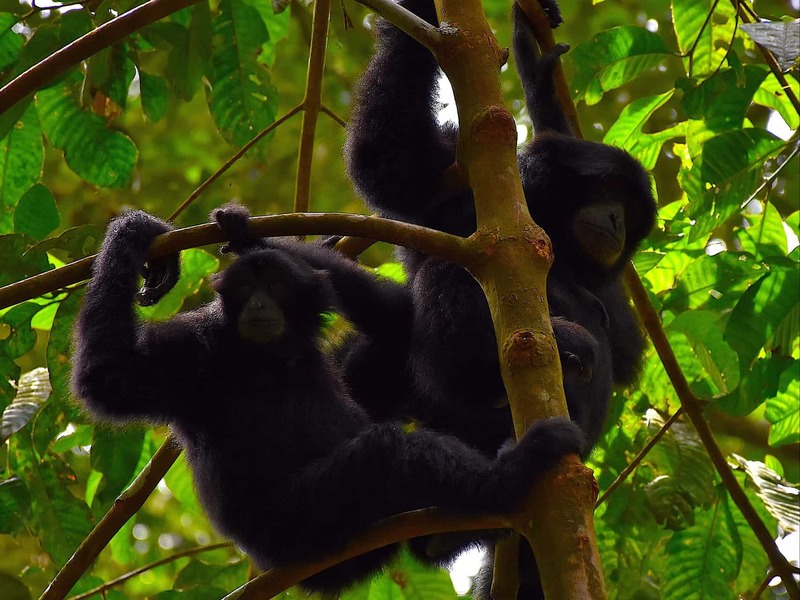 Food is easy to find for these animals because local communities cultivate their favoured crops such as Durian right along the edge of the rainforest. 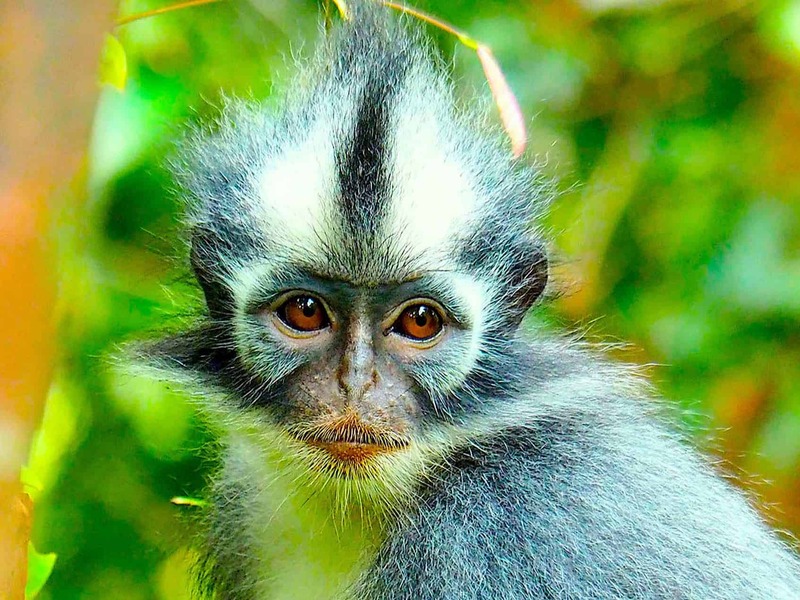 By eating more and more fruits from these plantations, wild animals undermine the foundations of the local, small-scale economy. 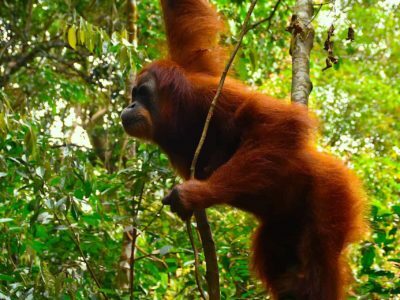 Obviously, this leads to a permanent fight of the villagers against “fruit thieves”, often with fatal results for small monkeys and orangutans. The effects of this bloody battle for food in the buffer zone are changed for the better by purposefully planting genuine trees. Wildlife and local communities alike will benefit from more trees because there will be plenty of fruits to share for all. 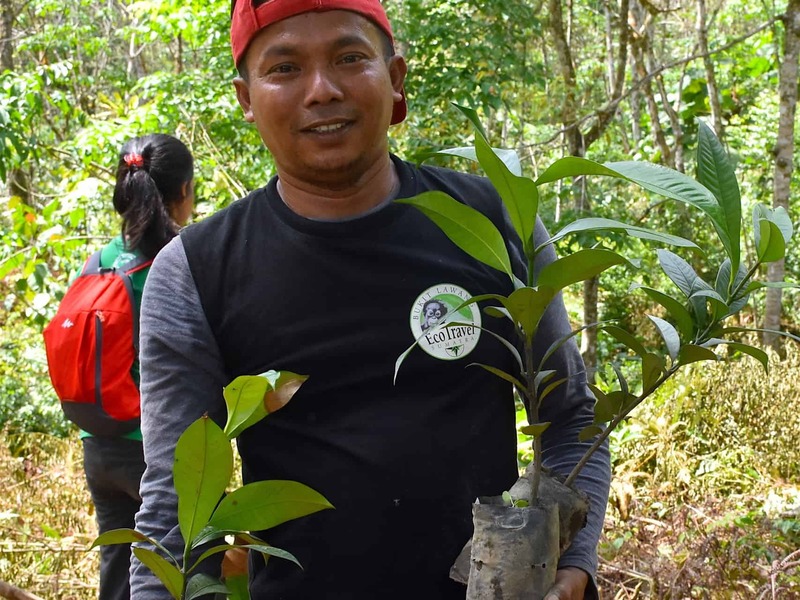 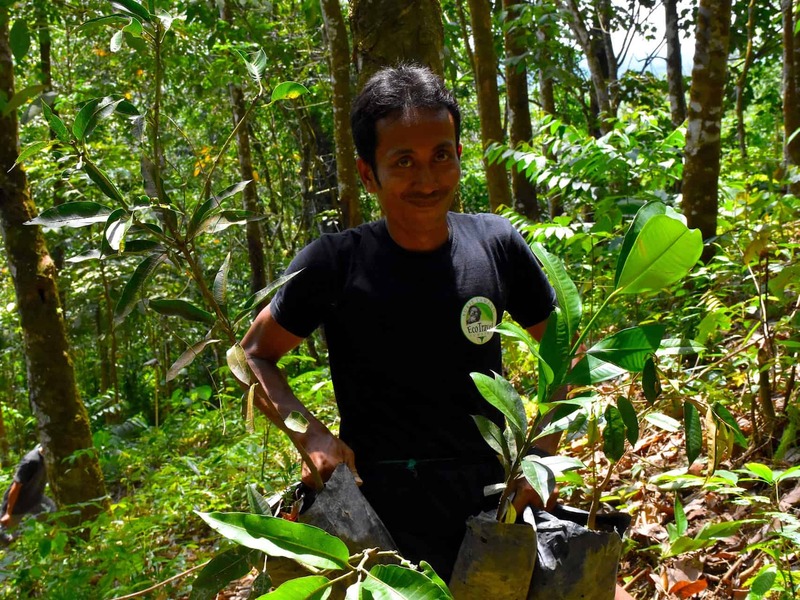 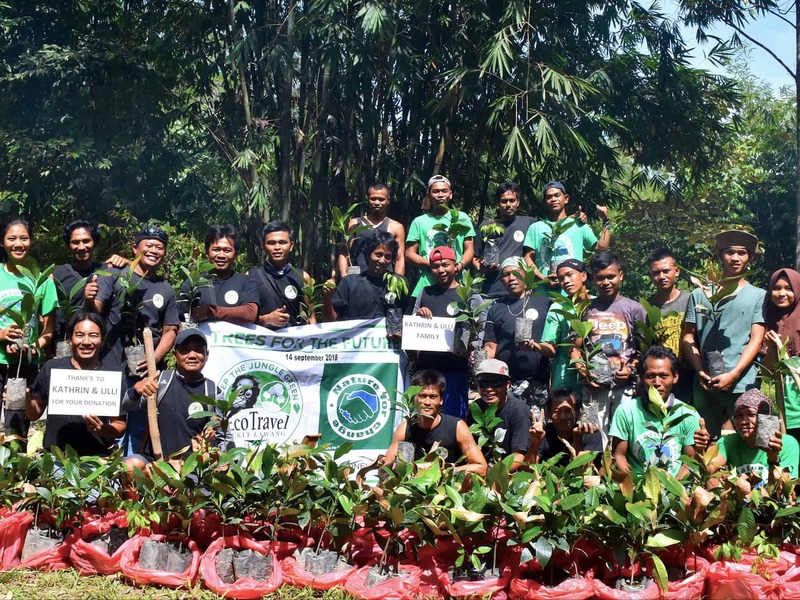 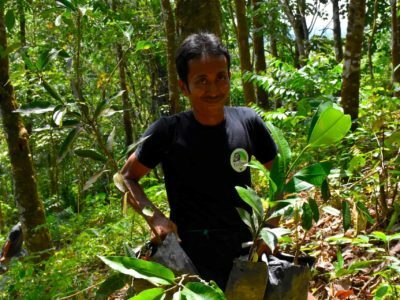 That’s why we have made it our goal to protect the area and balance the clash of interests by re-planting the buffer zone with native trees such as Durian, Rambutan, Jengkol, Petai or Jackfruit – in cooperation with our partners from local organisation “Nature for Change”. 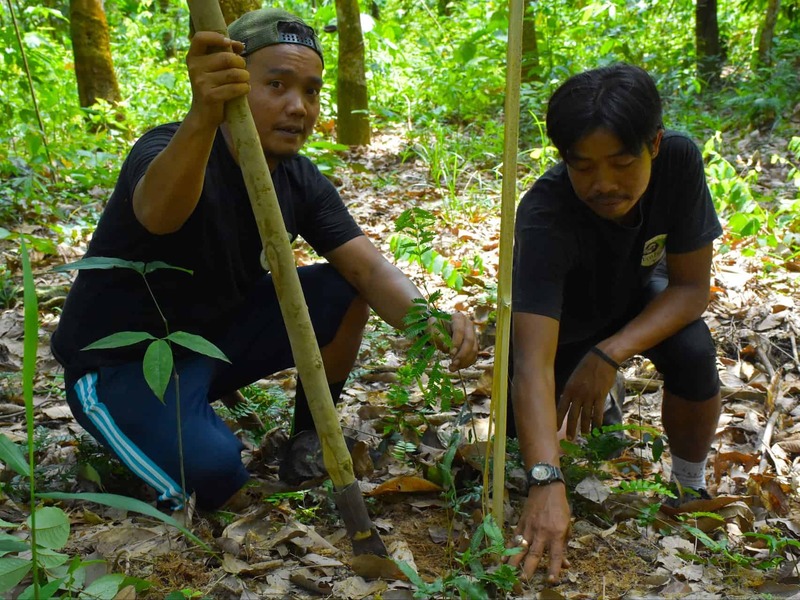 Any conflict could be further minimised and the habitat of the animals extended through the support of the farmland’s owners. 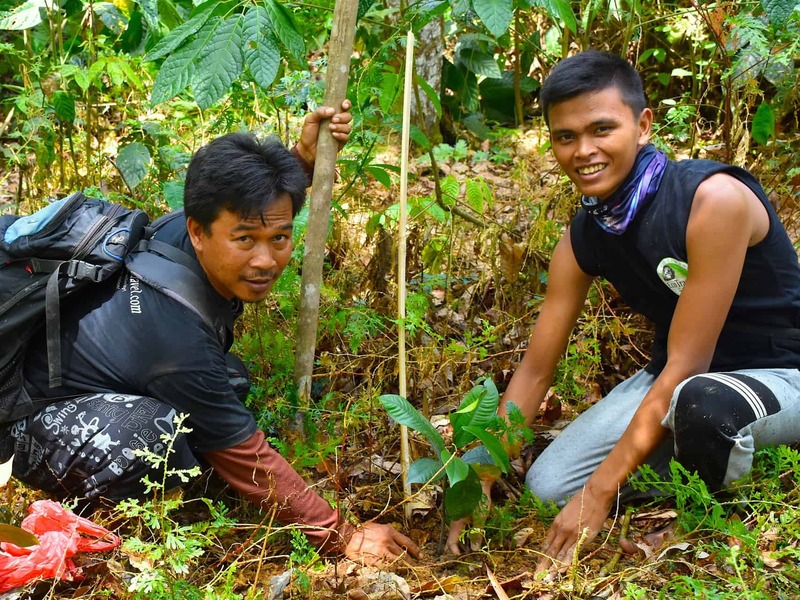 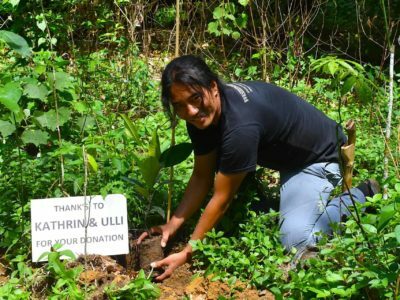 The landowners’ participation in our tree planting project is essential to the buffer zone as fruit bearing trees will need to be planted on their land. The farmers will help to look after the saplings and make them grow to maturity. 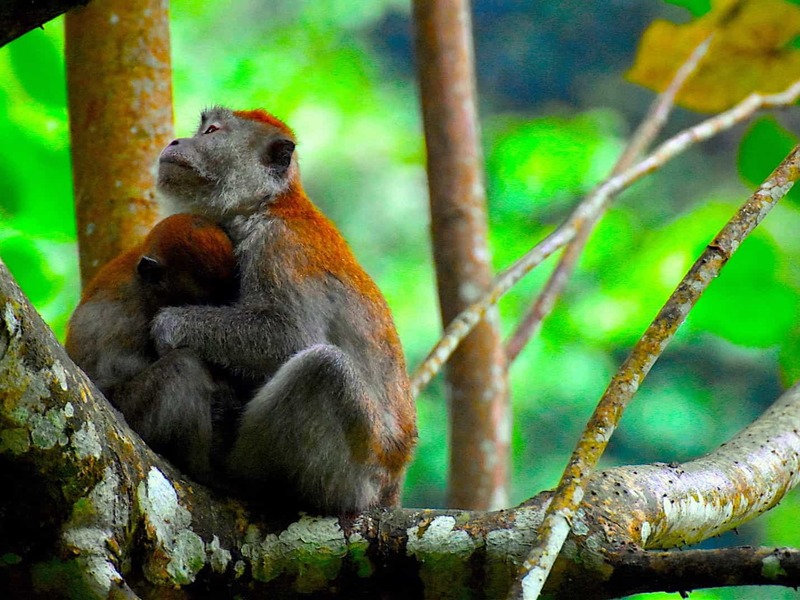 They will also make sure animals roaming the buffer zone are safe from harm. Once the trees have matured and the animals have taken their modest share the villagers can harvest the fruits. 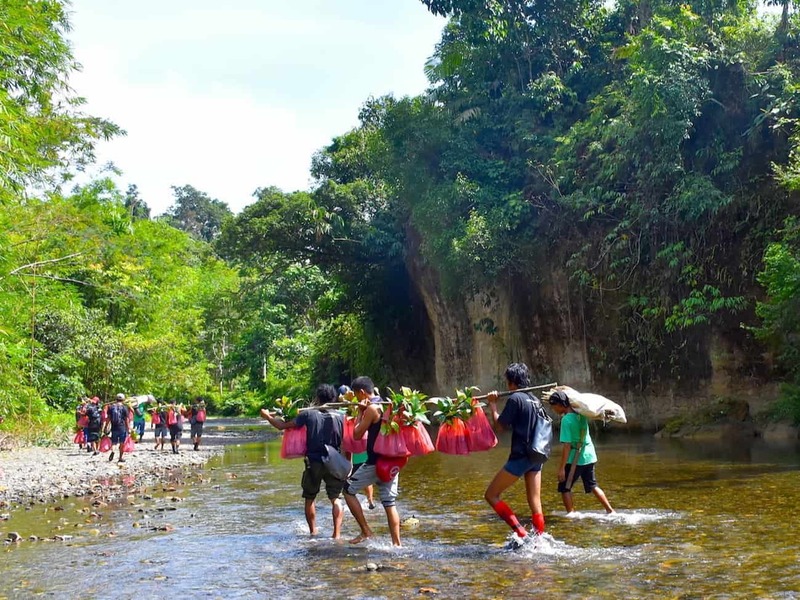 The project will not work without the active participation of the communities along the buffer zone. 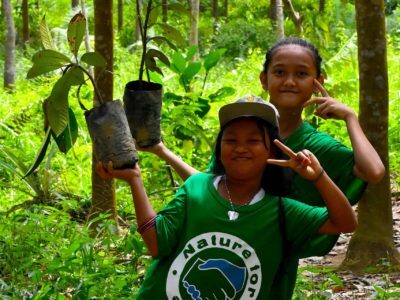 Our partner “Nature for Change” reaches out to the locals through community empowerment projects like setting up education centres or providing sanitation for the poorest, to name but two of many other activities. Our EcoTravel team supports this local initiative by getting passionate EcoTravel guests in touch with the villagers. Our popular “Explore Local Life Tour” to the villages around Bukit Lawang, our “Homestay Experience” including a tree nursery project or our “Buffer Zone Trek & Trees Tour” are paths to the understanding of local ecologic and socio-economic contexts. 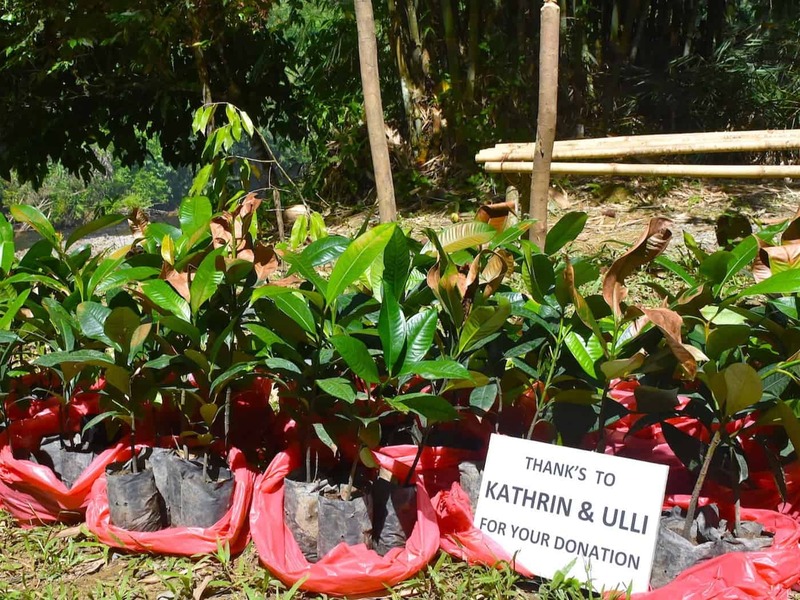 And even more, they humbly contribute to the villagers’ income.